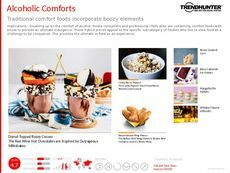 Find Better Ideas, Faster ® with a custom comfort food trend report, our PRO Dashboard and 80+ categories of premium trend reports. 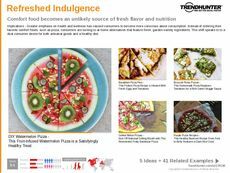 The Comfort Food Trend Report examines a group of food that seems to buck the trend towards more healthy dining alternatives. 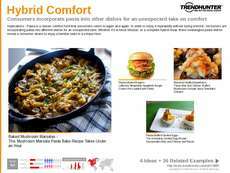 Perhaps due to a combination of nostalgia and familiarity, comfort food and its often decadent flavor profile remains a popular choice for dining consumers. This report puts comfort food under the microscope, and presents everything from innovations ins QSR to different consumer-related behaviors and preferences. 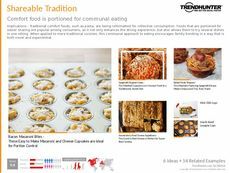 The Comfort Food Trend Report is ideal for individual's working in restaurant retail, food marketing and advertising, or for chefs looking to put a unique spin on old traditional culinary classics to create bold new food creations. With an in-depth look at comfort food in all its forms, this Comfort Food Trend Report highlights and expands upon the foodie culture related to comfort food that's fueled by a combination of nostalgia and a love for bold flavors.